Everyone has a story to tell…and so does every car. Buying a used car can be an exciting time. However, searching for the perfect make and model that fits your needs and budget can make the overall experience a bit stressful, especially if you don’t know the history behind the vehicle. 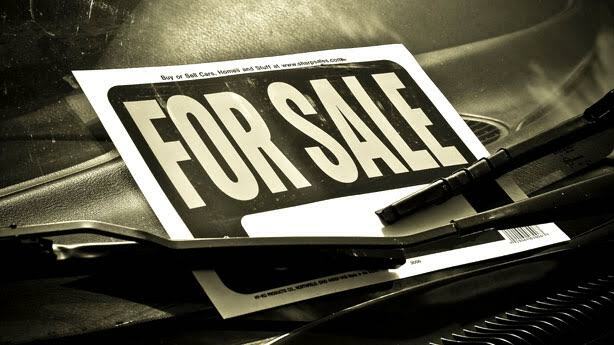 In the past, when buying a used car, buyers had to rely on and trust the sales person that they would be purchasing a car that was in great shape. Today, a simple CARFAX report can help discover information about your potential new car through the VIN number that is associated with and unique to the car or truck. These reports can list anything from flood damage and recalls to warranty work, collisions, and airbag deployment. The report can also provide how many previous owners and state emissions inspections. While a CARFAX report can provide you with an in-depth history, it doesn’t paint a true picture of the car you may be purchasing. To truly see what kind of car you are buying, the safest option would to have a professional take a look at it, which is completely allowed! If you are buying a used car (privately or from a dealership) you can tell the seller that you want your mechanic to look over it. If they refuse or try to talk you out of it, there is probably something wrong with the car. Our family owned and operated auto repair shop can help make sure your potential purchase is ready to come home with you. Our expert team can help you with any Domestic, European, Japanese and Asian vehicles and we at CNM Auto Repair offer the latest technology and tools to diagnose, service and repair all cars, SUV’s and light trucks. Just ask for Chris and he can tell you what, if anything, will need to be fixed and estimate the cost before you buy the car or truck! Check for rust. If there is a little body rust along the rocker panels, which are located along the sides of the vehicle between front and rear wheel openings, just below the doors, or above the wheel wells, there’s a good chance there is additional rust elsewhere on the car. Check under the vehicle for puddles. Puddles can be oil, transmission fluid, or coolant. None of which should be forming pools on the ground. Put the key in the ignition and turn it on. Check to see if any on the dashboard lights illuminate. If any of these lights turn on, you can check the manual (or the powers of the Internet if no manual can be found) and inform your mechanic when you visit the auto repair shop. Also, when you have the vehicle turned on, you can check to make sure the horn, wipers, lights, and radio are all functioning. If you are looking at used cars, make sure you get them inspected by your trusted mechanic before you spend your hard earned money on a dud. Don’t take a chance with purchasing a lemon when you can have CNM Auto Repair inspect the vehicle for any potential red flags.